In this area of the Apparel Search fashion brand directory, you will find men's fashion brands from leading apparel companies and fashion designers. On this particular page, you will find information regarding men's clothing with the Ben Sherman brand. 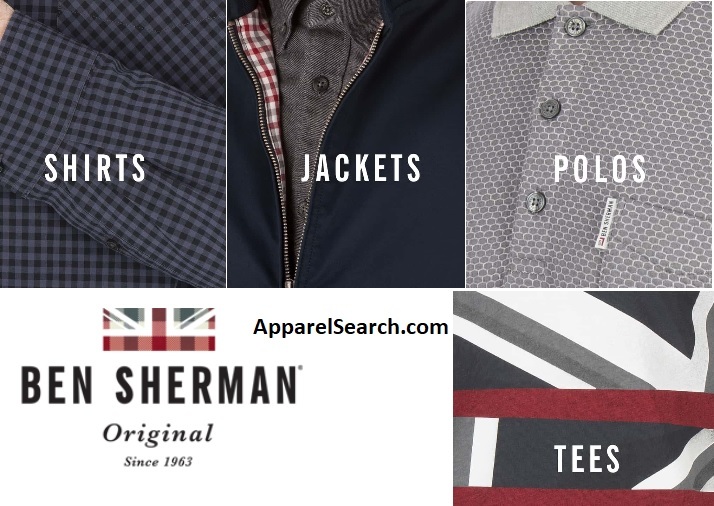 You are welcome to utilize this section of our clothing guide to review Ben Sherman news, Ben Sherman blog posts, Ben Sherman photos, and more. Please understand that you may run into a few photos or a tad of information that does not actually pertain to the men's Ben Sherman fashion brand. Unfortunately, no search technology is absolutely perfect. We will continue to do our best to bring you as much information about the men's Ben Sherman fashion collection as possible. Embrace the new and different and reject the normal and mundane with Ben Sherman. In The Last Word, discover the best style, film and travel tips as they aim to sharpen your wardrobe and minds. Ben Sherman was a legend in his own right. A man described as ‘always embracing the new and the different’; someone constantly searching for the best of things. He disliked regularity, preferring to search out things that were perceived as unavailable to him. He was a passionate businessman with an artist’s soul. Ben started making shirts for other people. But soon his creative flair took over and he started designing his own shirts. Then in 1963 he was ready to launch the first Ben Sherman shirt. Its basic design was influenced by the classic American Ivy League shirt but Ben’s design vision added the back hook, the button on the back of the collar, but most importantly his feel and passion for fabric, pattern and color created a unique garment. The company started with shirts, but now you can find jackets, trousers, shorts, swimwear, knitwear, and more. Learn more about the men's Ben Sherman clothing brand. Apparel Search is a leading guide to fashion, style, clothing, glam and all things relevant to apparel. We hope that you find this Ben Sherman page to be helpful.